Look out! There are zombies in your house! At least, it will look like it when you display your Zombie Window Poster. This poster pack includes two frightful decals that will give neighbors and passersby the fright of their life. 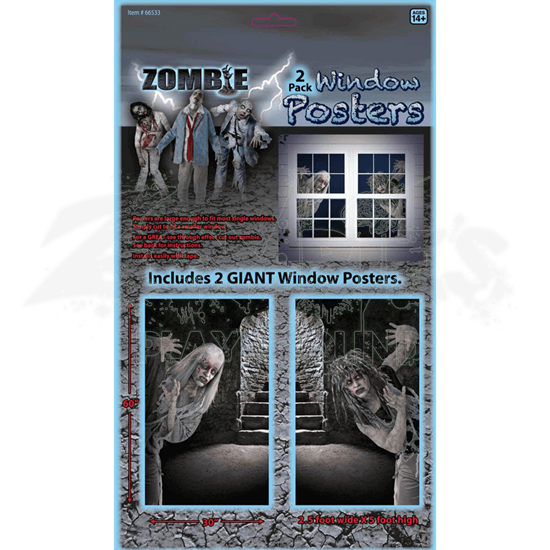 These giant window posters both depict two zombies, a male and a female, as they press against the glass and look out at the world. One poster depicts a male zombie with long gray hair and tattered robes, while the other depicts a female zombie with wild, tangled gray and black hair wearing matching robes. They are featured on a dungeon-like background that is sure to look eerie when placed in your windows! Each poster measures 60 inches tall and 30 inches wide, although they can be trimmed to fit into smaller windows with ease. The Zombies can also be cut out from their background in order to make it look as though zombies are hiding out in your house! Each poster is made from lightweight vinyl and will cling to most windows with ease. 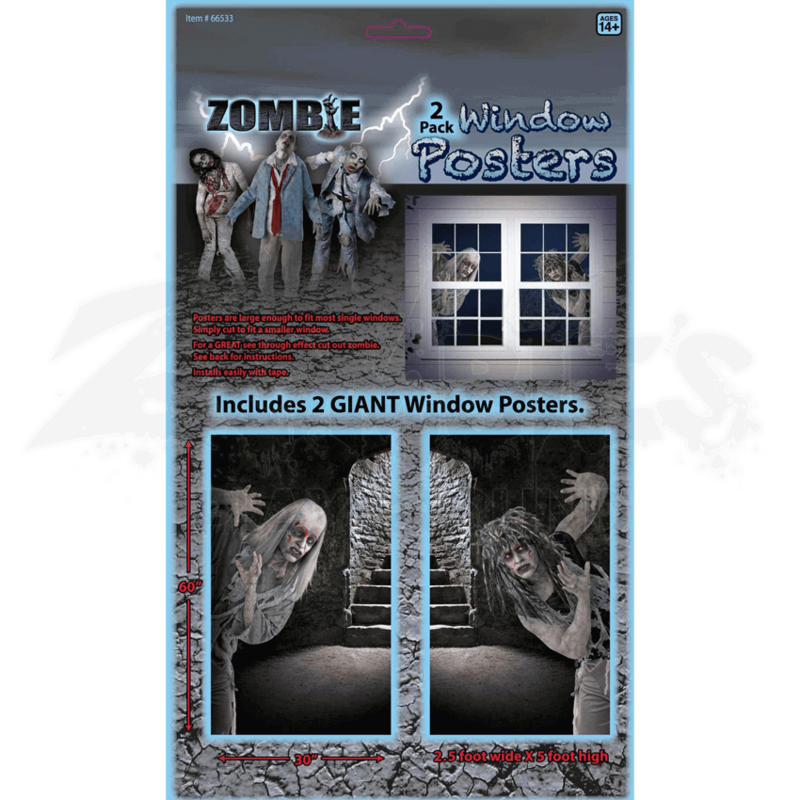 This Zombie Window Poster pack is sure to be a great fright come Halloween, or you can just hang them up whenever you wish, attracting the attention of passersby with your interesting and eye-catching zombie style!